Within galaxies like our Milky Way there are star clusters that may have the appearance of galaxies. Some are classified as open clusters like The Pleiades but others which are more dense and tend to form in roughly spherical shapes are called globular clusters. 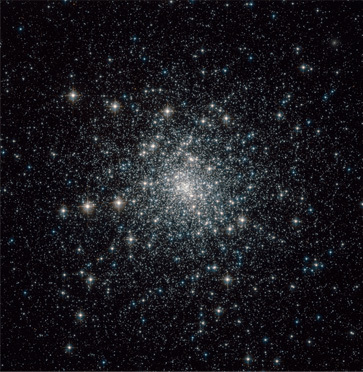 Since the stars in a globular cluster are presumed to have been created at about the same time by reason of their proximity, such clusters aid the study of star fomation. 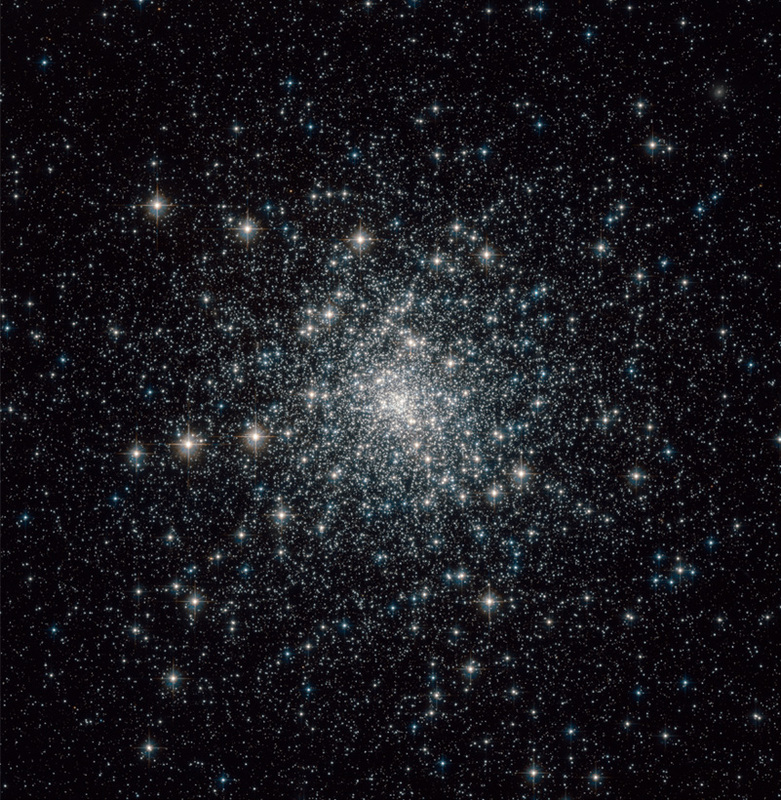 Globular clusters contain hundreds of thousands, and sometimes millions of stars. Most globular clusters in our galaxy show a lack of O and B type stars, an indication of their great age. The globular clusters in the Milky Way are all estimated to be at least 10 billion years old and therefore contain some of the oldest stars in the galaxy. They contain an abundance of low-mass red stars and intermediate-mass yellow stars, but none greater than 0.8 solar masses. There are about 150 known globular clusters in the Milky Way. It is thought that globular clusters formed very early in the vast halo surrounding the nascent galaxy before it flattened to form the spiral disc. Star formation would have stopped in these clusters maybe 13 billion years ago, so only old stars are expected to be found there. While the globular clusters in the Milky Way are very old, the globular cluster NGC 1818 in the Large Magellanic Cloud seems to be very young. The globular cluster known as M30 (Messier 30) was discovered in 1764 by Charles Messier. Its age is placed at 13 billion years. Located about 28,000 light years from Earth, it contains several hundred thousand stars and is about 90 light years across. M30 has attracted recent interest as astronomers try to account for "stragglers", stars that appear to be hot young stars. Such stars were found in 1953 by Allan Sandage, and those in M30 have been recently studied. Francesco Ferraro of the University of Bologna characterizes the situation "It's like seeing a few kids in the group picture of a rest-home for retired people." Models for these hot blue stars include close binary stars where the smaller of the stars acts as a "vampire" and accretes mass from the larger star to provide fuel for rejuvenation. But it appears that there are two populations of stragglers in M30, and one is attributed to an apparent collapse of the central region about 2 billion years ago, with some stars gaining mass and energy from collisions. Reference: Vampires and collisions rejuvenate stars.